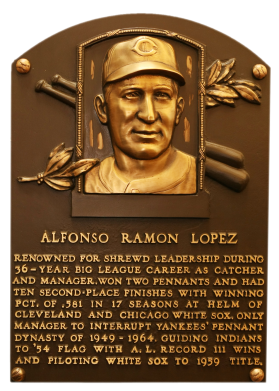 A workhorse behind the plate, Lopez held the major league record for games caught until 1987. He turned manager in 1951, and in 1954 led Cleveland to 111 wins. In 1959, he won another pennant with the White Sox. 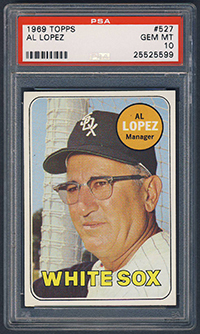 Inducted in 1977, he drove his 17 teams to a 1,410-1,004 record for a .584 winning percentage, eight all time. 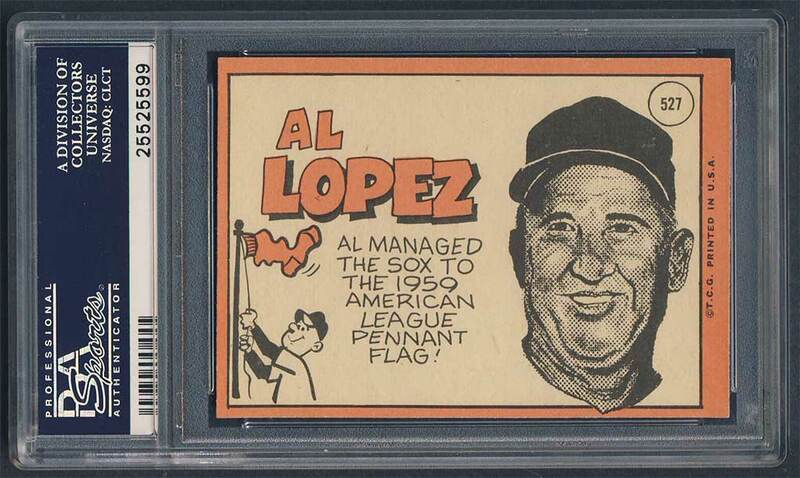 Usually losing the pennant to the Yankees, Lopez's clubs finished second in the AL 10 times. Comments: I won an eBay auction from seller Gary Prachar (fletchcollect) for this card in January, 2003. 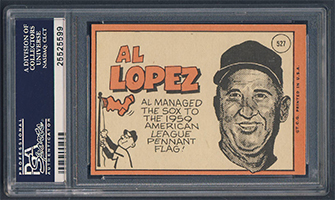 At some point I also purchased a couple examples of his 1936 WWG issue (a PSA 1 and a PSA 4). 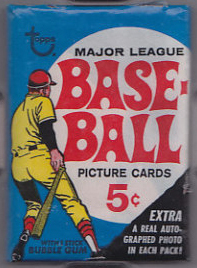 But, I decided to stick with the '69 Topps issue. I may upgrade this to a GEM MT copy someday but it's not a high priority. The price will have to be right! The card was centered perfectly and looked like a GEM. I navigated to the vendor’s website to take advantage of a 12% discount and purchased the card. 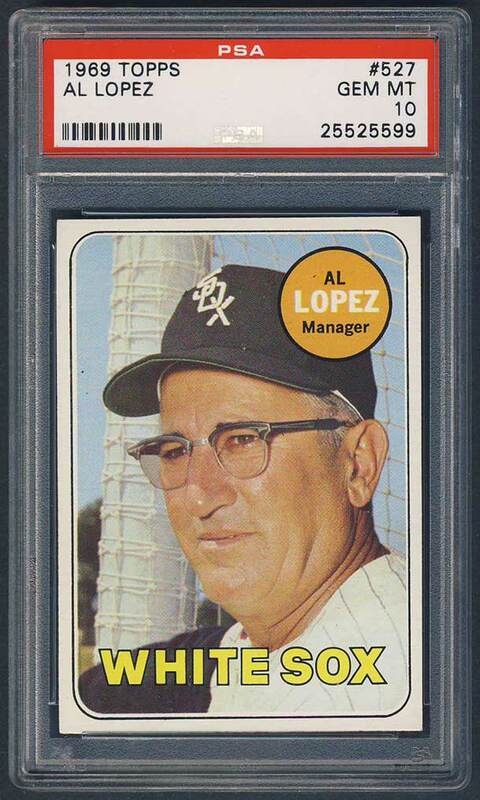 It was the first 60s PSA 10 in my collection.